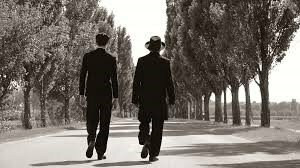 On a summer day in 1945, an Orthodox man and his grown son arrive in a village in Hungary while the villagers prepare for the wedding of the town clerk’s son. The townspeople – suspicious, remorseful, fearful, and cunning – expect the worst and behave accordingly. Why have the Jews come to their village? Have they returned to reclaim their property? In this beautifully shot black & white film, Director Ferenc Török paints a complex picture of a society trying to come to terms with the recent horrors they’ve experienced, perpetrated, or just tolerated for personal gain. Well-known and highly respected filmmaker and film critic, Aviva Kempner, will introduce the Cinema J film, “1945.” Kempner’s documentaries investigate and focus on the untold stories of Jewish people. Her works include, “The Life & Times of Hank Greenberg, and most recently “Rosenwald,” a historical documentary. Don’t miss this opportunity to hear Ms. Kempner and to see “1945,” a film commemorating the Holocaust during the Days of Remembrance. This film is part of Cinema J, a monthly series featuring films through a Jewish lens. For more information, contact Frieda Enoch at 301.348.3809 or fenoch@benderjccgw.org.